As always, it’s fun to be a part of What I Ate Wednesday presented by the Lovely Jenn over at Peas & Crayons! I’m always ready for a party!! 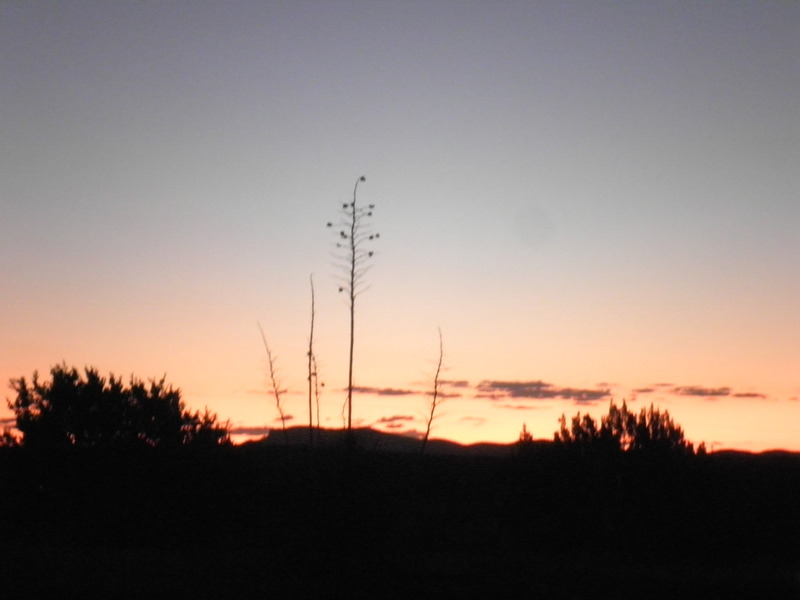 I have to admit that I am feeling at the point where I may be drummed out of Weight Watchers when I get back to New Jersey, for various reasons, but I’m just going to go with this whole, I’m having a wonderful time in New Mexico thing and do my best along the way. I’ve never heard of anyone being thrown out of WW, I just have to hope I won’t be the first! …with several cups of coffee. In fact I feel the urge coming on as I sit here. 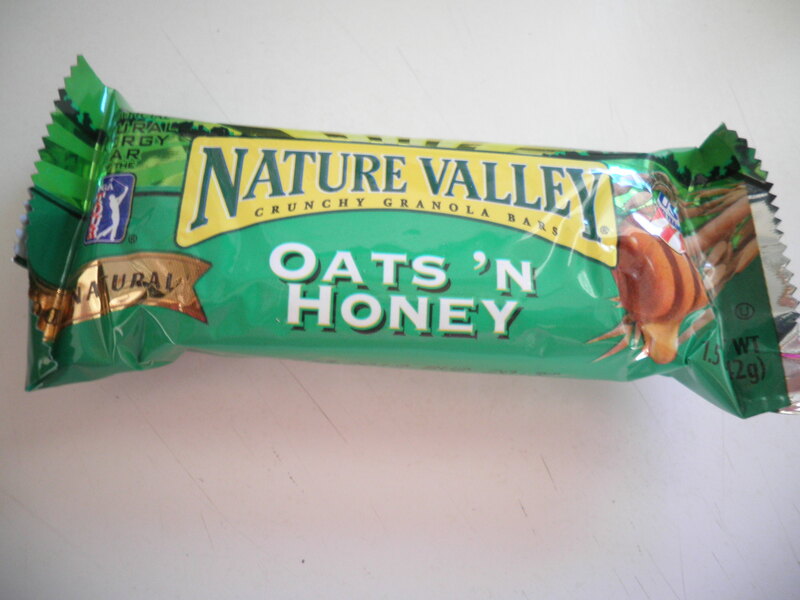 I love Nature Valley Granola Bars. They’re tasty and filling and I know how to count them. They’re good for road trip food which is why I bought a huge box to bring along. It doesn’t seem we’ve even put a dent in the box in spite of eating a lot of them. Monday lunchtime found us downtown, strolling around seeing what we could see. I’ve mentioned Diane’s Bakery and Deli before, with the incredible pies and strudel Bigger Than My Head. Their deli is also pretty terrific. Ralph loves it because they have deli meats like we find back in New Jersey, which is unusual out here. They have wonderful sandwiches also. 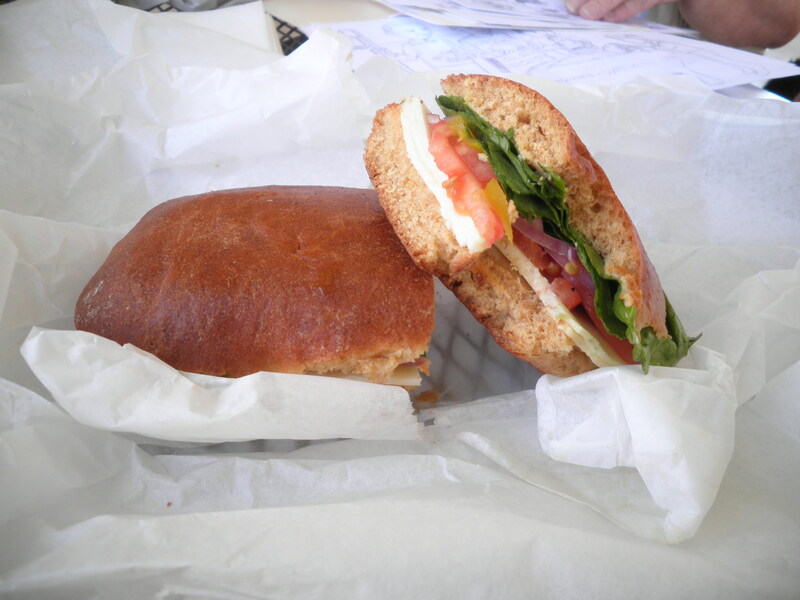 This was our first time trying their sandwiches. Mine was the Veggie…tomato, lettuce, banana peppers, red onion, mustard, mayo and my choice of 2 cheeses. My choices were pepper jack and horseradish cheddar. It was So Good. It comes with a side of pickle and 2 cookies! It was delicious. Hoping to do lunch there again before we leave. 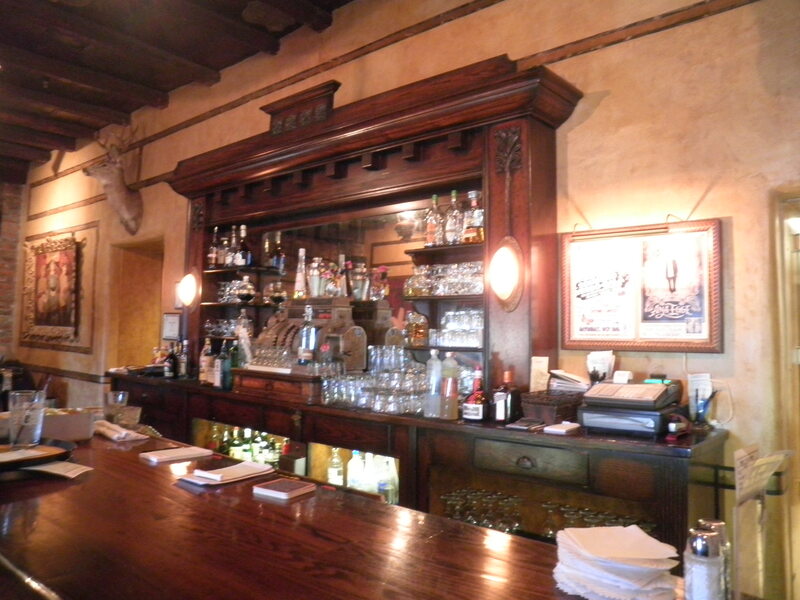 We had made plans to meet her and some of her friends at the Buckhorn Saloon & Opera House in a small town north of Silver City called Pinos Altos. It opened in the 1860’s. We’ve been there before and we thought it would be a fun idea. 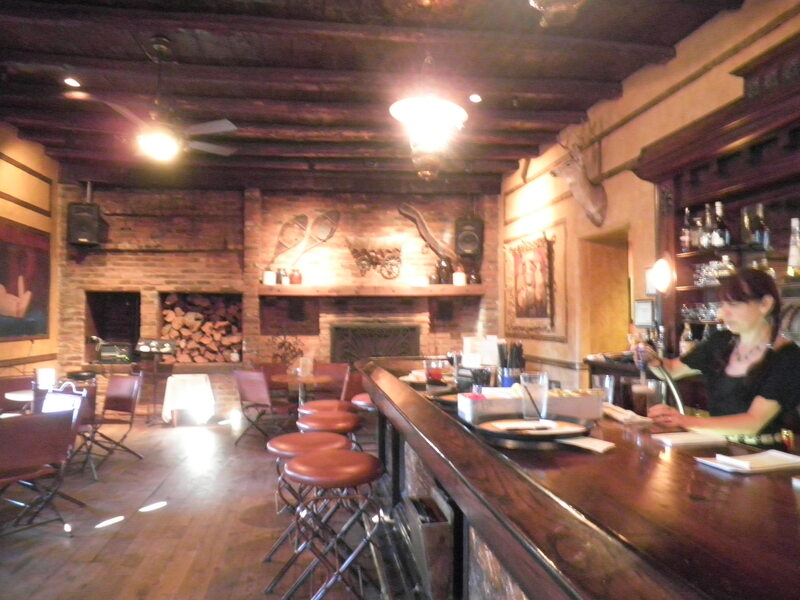 The Buckhorn is such a great place, read up on the history…you’ll enjoy it! The inside makes you feel you’re going back in time. 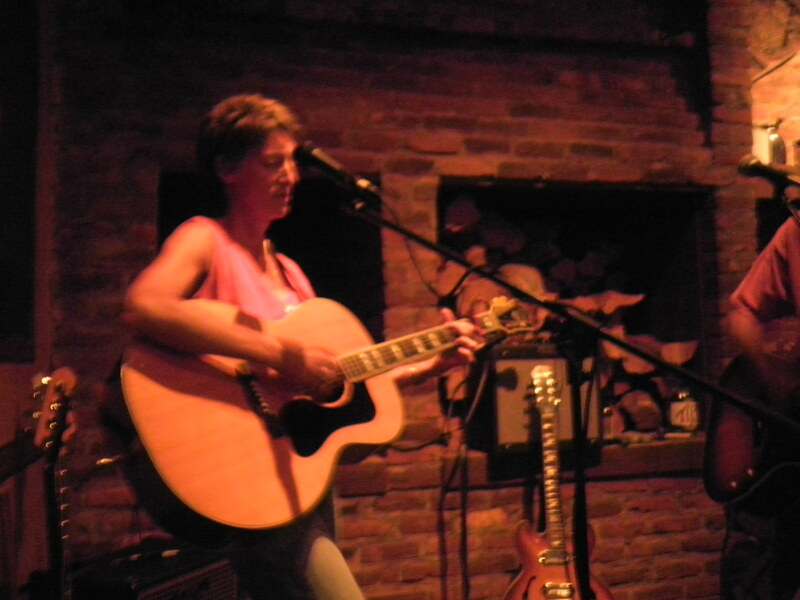 We didn’t know that it would be open mike night and that there would be music! 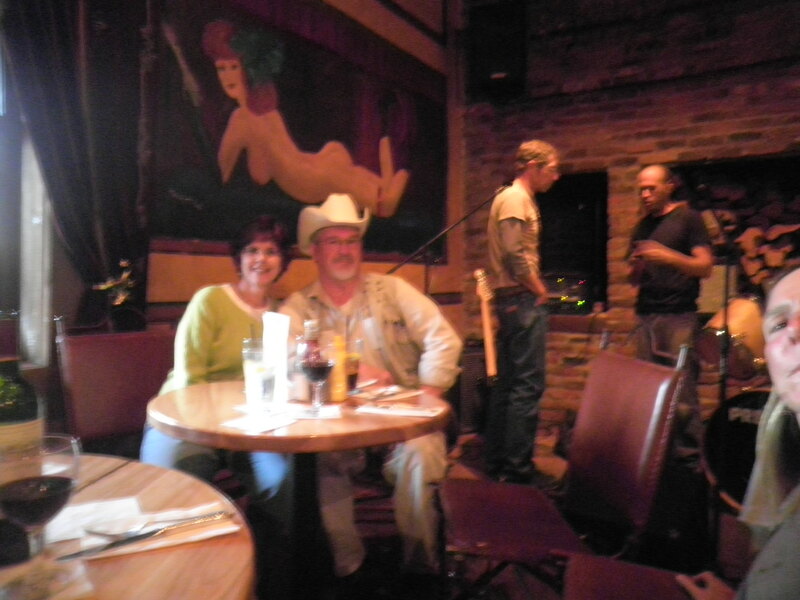 We Really didn’t know that Dana and her friend Butch would be performing! 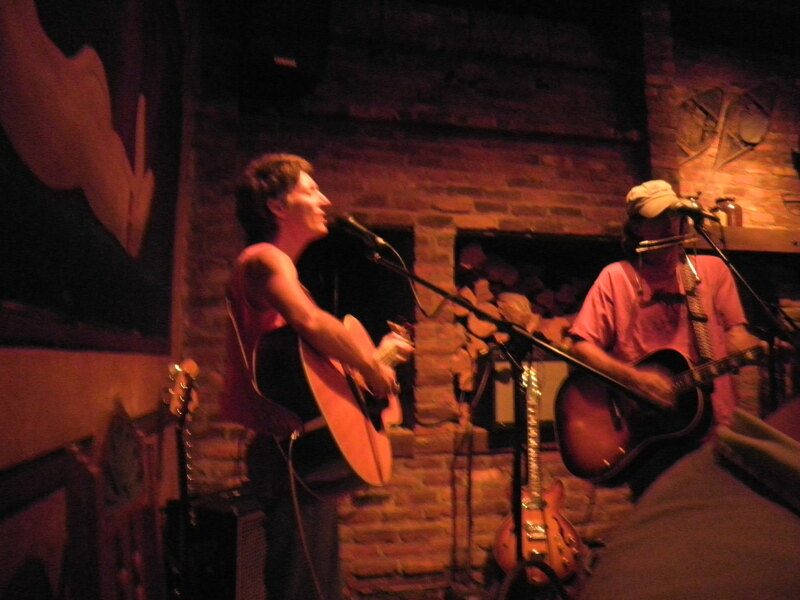 Really great music and they have it every Monday night…I think Ralph and I will be regulars once we move out here. I ordered from the appetizer menu, something called a Mediterranean Plate. 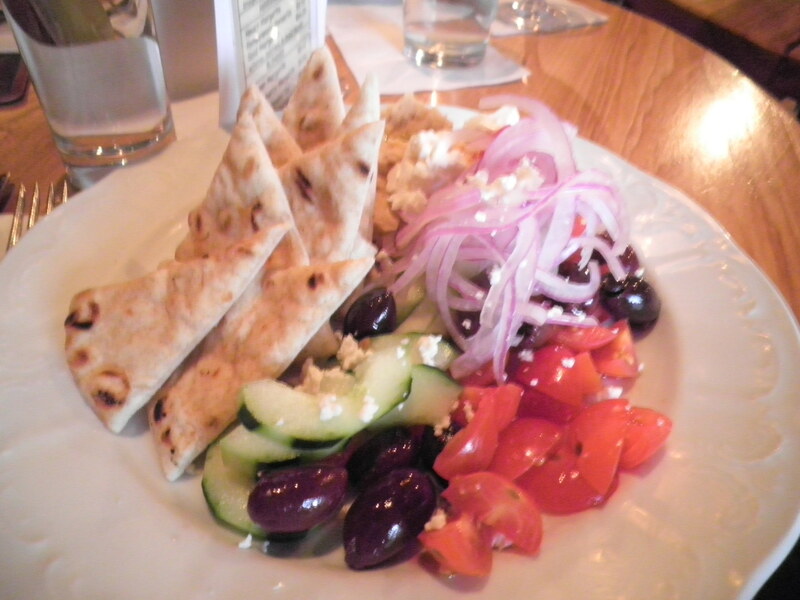 Hummus, cucumber, tomatoes, red onions and calamata olives with pita. It was so good. You can’t tell from the photo, but there was a lot of hummus. Ralph had a Cobb Salad that had avocado on it. He’s not a fan so I had quite a pile of that to go along with this. 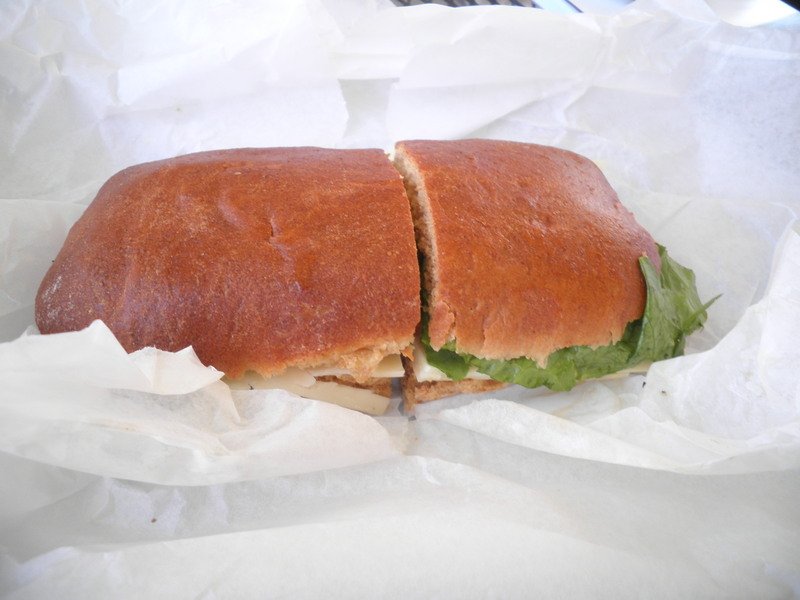 It was so filling I almost couldn’t finish…but of course I did!! 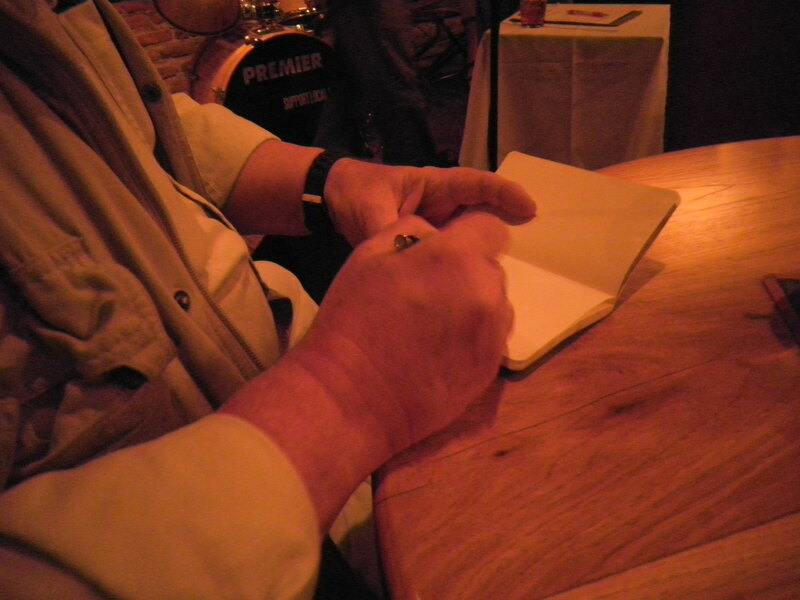 Of course, even in a bar with music all around, Ralph was still drawing!! 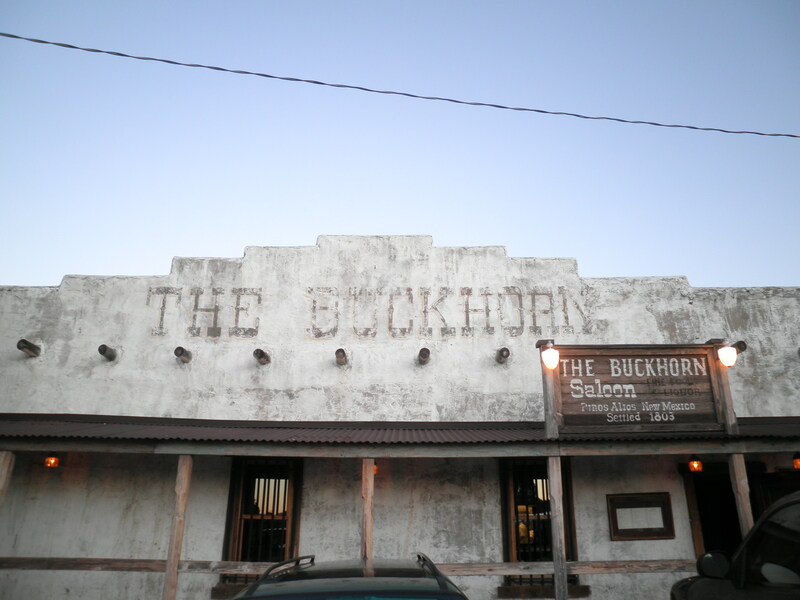 It was a lot of fun at the Buckhorn, truly a piece of the Old West. Sadly, I haven’t been able to capture any really good sunsets. I think that’s the fault of the camera and the operator, not the fault of the sunsets. So, here comes Wednesday! I need to get going to make the most of our last few days here! 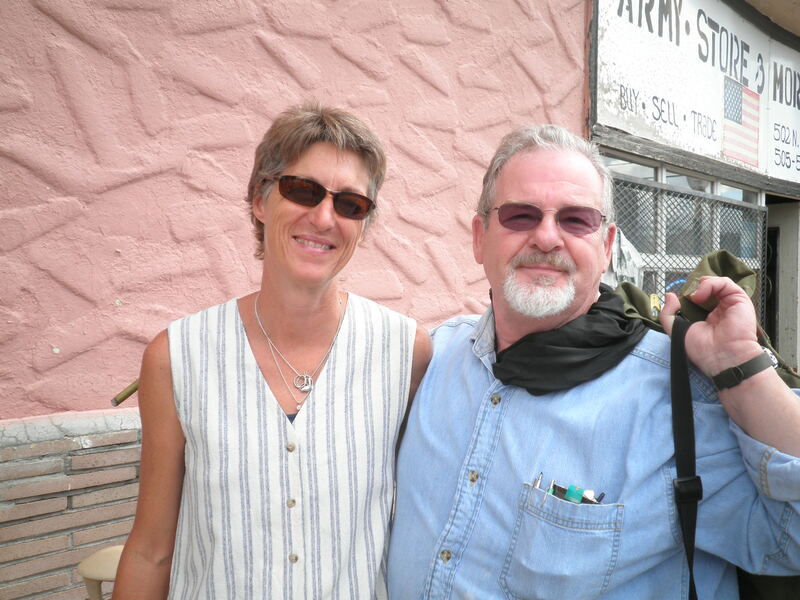 This entry was posted in Uncategorized and tagged Enchanted Days, WIAW. Bookmark the permalink.